The increase of children with allergic diseases has been well documented since the 1990s, but reasons for this increase are still largely unknown. Notable findings were presented at ICHOCM by Dr Emily C. McGowan et al. (University of Virginia School of Medicine, Division of Allergy and Immunology, Charlottesville, VA) on the hypothesis that the increased food allergy prevalence observed in recent years may be due to changes in nutrition - including increased exposure to unmetabolised folic acid through folic acid fortification and supplement use. The results have been included in The Abstracts Book of the Congress. 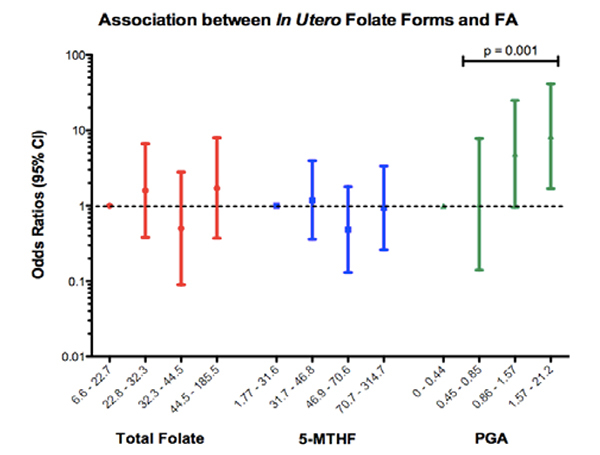 5-MTHF (methyltetrahydrofolate) and unmetabolised folic acid (UMFA) in cord blood, in the study reported as PGA-pteroylmonoglutamate. 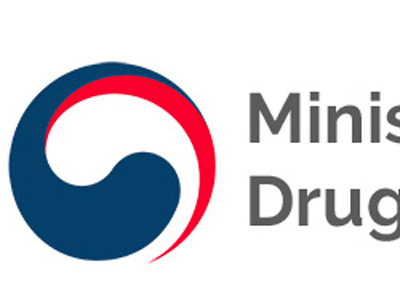 A total of 502 children were included in this study, with check ups at 6-9 months, 1-2 years and 3-4 years. 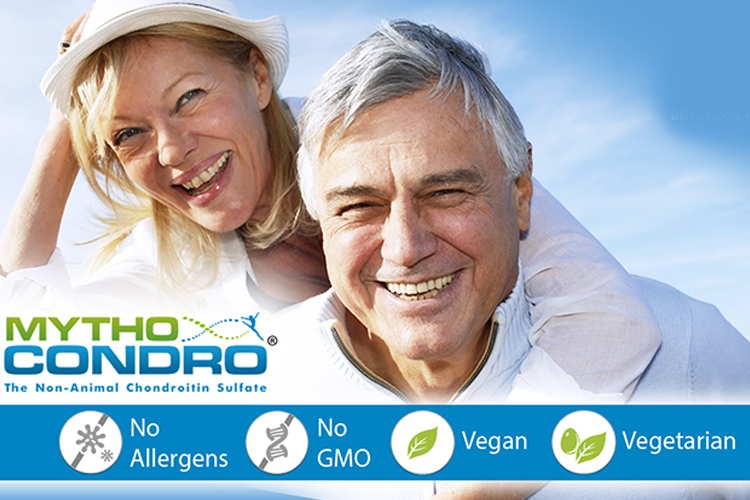 Food specific IgE (sIgE) was measured to common food allergens such as egg, milk, peanut, soy, wheat, walnut, shrimp, and sesame. The results found that 193 children (38%) had food sensitisation (FS) and 33 (6.6%) had a food allergy (FA). 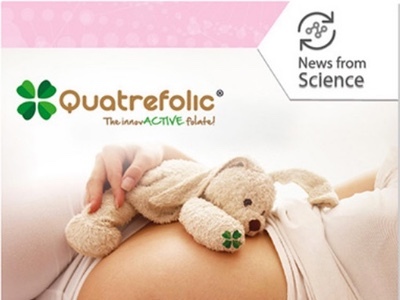 Mean total folate, 5-MTHF, and PGA levels did not differ between those with and without food sensitisation, but mean cord blood PGA levels were significantly higher in those who later developed a food allergy. 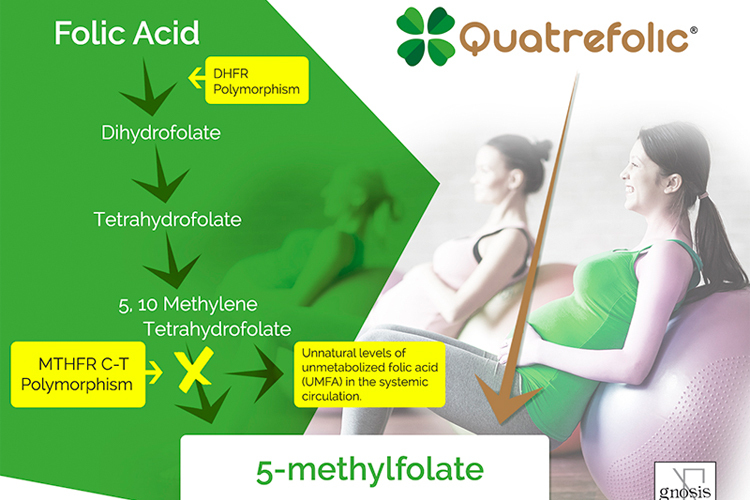 Quatrefolic, the 5-methyltetrahydrofolate (5-MTHF), is the biologically active form of folate that avoids any accumulation of unmetabolised Folic Acid (UMFA) in the blood because it is not subjected to the enzyme metabolisation and reach directly the systemic circulation. 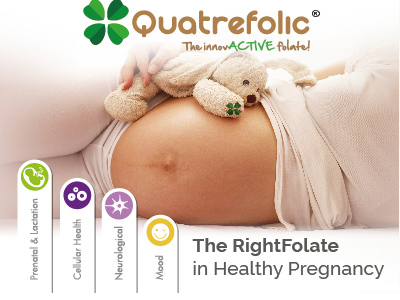 Quatrefolic can be a more safe option for folate supplementation, able to efficiently normalixe the folate status of potential individuals, included who have polymorphism of the enzyme methylentetrahydrofolate reductase(MTHFR), even more prone to have an impairment of the conversion of folic acid in the 5-MTHF and higher levels of UMFA.